The Molex 2.4GHz, 5GHz Micro-Coaxial RF Connector is designed for fast and easy integration into Wi-Fi devices with minimal implementation cost. The antenna is available now from RS Components. 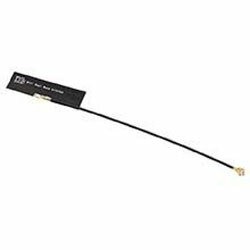 This side-fed cable Flexible Antenna facilitates balanced RF transmission independent of cable length variations. Topside of the poly-flexible antenna provides easy peel-and-stick mounting anywhere within the device chassis. The double-sided adhesive on the antenna reverse allows instant application anywhere on the inner wall of the device chassis by just removing its tape liner.